Florida Hay Rides can be a fun treat for the kids and a new tradition for your family. Not-so-scary Hay Rides are a perfect Autumn day festivity for all. Enjoy the cool crisp air while your little one explores the area and enjoys some good old fashion fun. These Hay Rides are perfect for all ages, as they are fright-free! Make a day of it with friends and family-it'll be a great time for all. Yummy treats and good times are to be had. 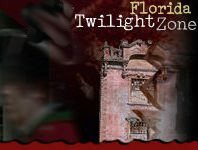 You can check out many of the Florida Hay Ride locations statewide at floridahauntedhouse.com.